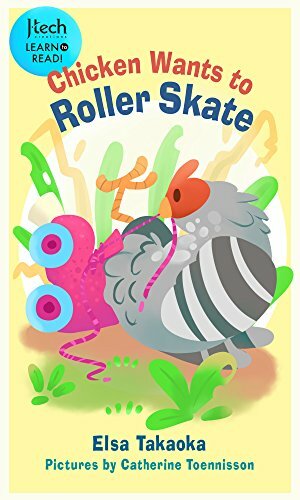 Funny and clever early reader done in the format of a graphic novel. 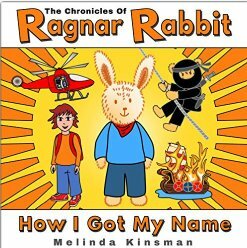 Protagonist is a stuffed rabbit nicknamed Raggy; the real story is how he got his name Ragnar. One day Raggy’s human owner, Max, goes to the library with his grandpa. They return home with a book about Vikings. Max and Raggy begin to act out Viking adventures. Max builds a Viking ship with the help of his parents and Raggy. The next day, they are about to launch their ship when Raggy is whisked away by a vulture. I won’t give away the plot, but I can say Raggy will encounter a Ninja, and a helicopter before being kidnapped again. Max is disconsolate; the family searches for two weeks. At the end of the story, readers are still unaware of the whereabouts of Raggy, now named Rangar in honor of a famous Viking warrior. What has happened to the dedicated stuffed rabbit? Will he be reunited with Max? Guess we will find out in Book 2. The simple vocabulary and speech balloons allow early readers to master the text and follow the emotions of the characters, including the adorable ants who comment and have their own little adventures while following Max and Raggy. 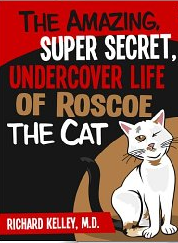 Nice bedtime story, but particularly recommended for reluctant readers or as a beginning reader for ages four through seven. 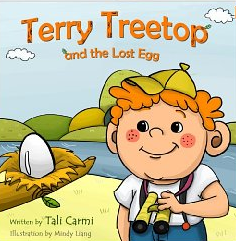 This is another book in a series from the Happy Inspired Children’s Books Collection featuring an endearing young boy named Terry Treetop because he loves climbing trees. In this one, Terry has found an egg lying on the ground. He vows to protect it at all costs until he can locate the mother. Terry meets several animals on his journey including a turtle, alligator, frog , hen and parrot. Along the way, the reader is introduced to the way each of these animals nourishes and takes care of its young. When Terry finally solves the puzzle and finds the true mother, he insists on remaining with the egg until it is hatched and the mother is present to take full charge. The entire story is written in verse which works most of the time, but seems forced in a few instances. 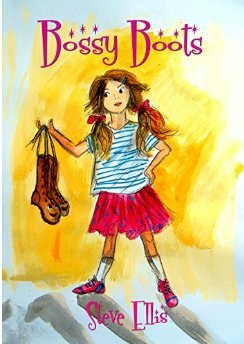 The illustrations by Mindy Liang are simple but drawn in bold deep colors to attract even the youngest reader. Children will learn a lot about how animals take care of their young as well as lessons of loyalty, empathy and kindness for our fellow creatures. This book is marketed for ages two through six; older children will have the patience to listen to the entire text which is a bit on the long side for a picture book. I read the kindle edition which was nicely formatted. 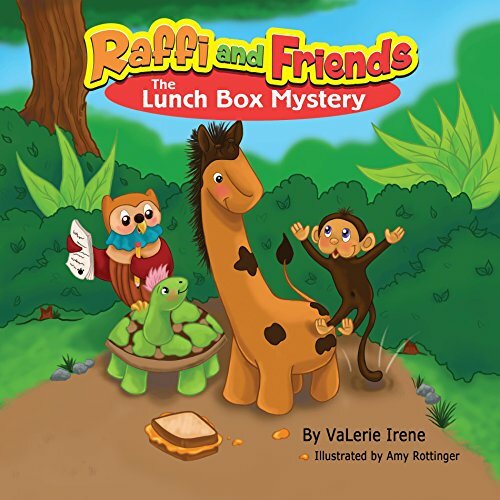 As a bonus, the author offers a link to obtain a fun creative kit that can be downloaded as well as a preview of another book in the series titled, Terry Treetop Finds New Friends. These books are a worthwhile addition to your bedtime story collection or useful as beginning readers for a child who has begun to read independently.